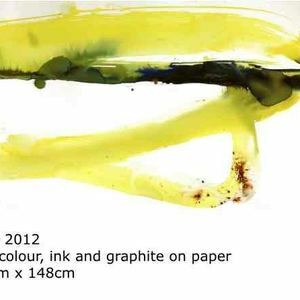 As a painter and printmaker materials and medium interconnect to explore the immersive experience of 'place', the colour of memory and the mark of intention. Recent work has focused on gesture as a means of containing relational memories. The vitality of painting and drawing within the immersive environment provides a structure through which temporality is both experienced and explored. The work begins with drawing in the landscape - immersed in the feel and texture of a particular "˜place'. This experience is concentrated and distilled within the studio as I attempt to isolate and refine the "˜situated experience' :smell, taste, colour and sound. The sensory experiences combine, through the intentional gesture, as an attempt to capture the "˜essence' of a particular moment in time. Landscape and drawing in direct response to place acts as a starting point for the paintings' development within the studio - intimately connected but suspended and distilled by the distance of the studio.